The Best-- Come Enjoy Our Great Carpinteria Beach Home! It only takes one visit to Carpinteria before you'll anxiously await your next! Come find out why so many people love this amazing beach town. We are offering our wonderful beach house. It is located 1 block up from the beach, on Third Street, and an equal distance to the main area of town. There are not many beach houses available to rent in this great location of Carp. Enjoy time at the 'World's Safest Beach' and the town's great restaurants and shopping, all without getting in your car. Our beach home offers an environment for a truly memorable time in Carpinteria. Nearby you can also enjoy Santa Barbara, nicknamed 'The American Riviera,' and all that it has to offer. Whether you are planning an adult weekend or a family vacation, our beach home is the perfect place to be. Our remodeled and furnished home will offer you a comfortable place to call home. You'll want to come back often. It provides a private enclosed backyard, perfect for entertaining or keeping young ones close by. Patio furniture provides an opportunity to enjoy the beautiful weather off the beach. There's even a basketball hoop for a little shoot around. Many Carpinteria locals are familiar with our beach home and how well it is maintained and its great location within Carpinteria. Come see for yourself--but hurry, our home will get booked quickly. Carpinteria is a wonderful beach town. We grew up going there as kids and it's still our favorite place to go! The location is perfectly located within walking distance to the sand and to Linden Ave. Located at 4908 Third Street, on the corner of Third and Elm, 1 block from the sand and 1 block from the main street of town, Linden. Carpinteria in nestled between the mountains and the ocean - beautiful views in both directions! Bed sheets, pillows and pillow cases, bath and kitchen towels are provided. Guests do need to bring their own BEACH towels though. The perfect beach house! The beach is just a block up the street! The house is decorated in an adorable beach style. It is just as described & the photos show. Owner was quick to respond by email & flexible. Beds were comfortable with all nice clean linens on bed & bathroom. Bathroom & kitchen were beautifully equipped and had extra supplies. Adorable extra outdoor shower & a pseudo outdoor laundry room that you really feel you are at the beach using. Lisa has really thought about what you might need, down to the fact that this is the 1st vacation rental I have stayed at that had a ton of extra hangers supplied in the downstairs bedroom! Thank you for the use, we totally would like to stay again 😃! Thank you for your stay and I’m so glad you enjoyed the house! I really appreciate your time to write a review! I look forward to hearing from you for your next stay in Carpinteria! The best charming and peaceful experience. The house is beautiful and very well stocked with all you need to enjoy your vacation. Booking with the owner felt very personal. We loved the place! Spent 3 days in this house. Great location and very close to the beach and walking distance to all the restaurants. Kitchen was well stocked if you need to cook meals. Bathroom is also well stocked with towels. Loved the outdoor shower and back patio area. Only downside was having only one restroom. The men managed to use the beach restrooms which were close by and clean. Owner is very accommodating when messaged her. Thank you Lisa. Will stay here again. So glad you enjoyed your stay and thank you for the review! I completely agree and have been wanting to get a 2nd bathroom added to the home. I am actually in the process of getting plans approved :) Maybe you can be my first guest after the bathroom addition?! Thank you again for your stay! Cute clean property right near the beach! 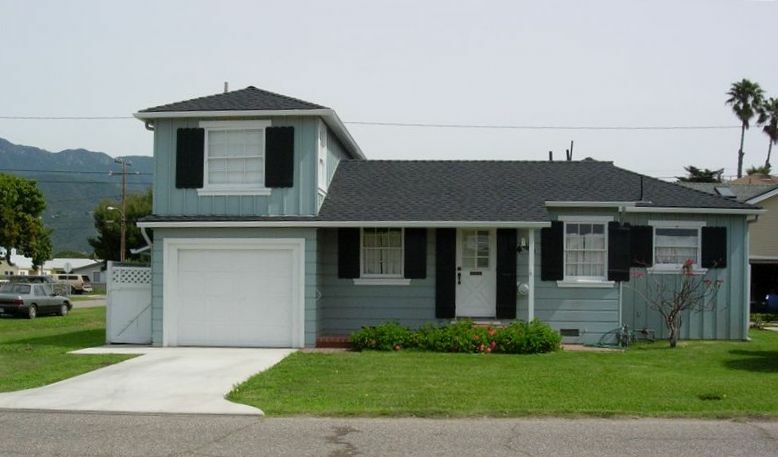 Clean, well kept, and within walking distance to the beach and the center of town. The home was well stocked with everything that might be needed, and communication with the owner was excellent. A wonderful stay and worth returning to. We loved our 3 night stay at this home. The layout is great and the yard provides a nice respite from the beach. It’s a no frills home providing everything you need for a wonderful and restful vacation. We hope to be back soon! Carpinteria is a town that is absolutely doable (and often preferred!) without a car. There is a bike rental store close by, but walking is usually the most popular way to get around. Holiday nightly rates are the same as the Weekend rate of $345/night. Holiday weekends (Memorial and Labor Day) have a 3 night minimum stay.